Northrop Grumman’s Cygnus space freighter with its prominent cymbal-shaped UltraFlex solar arrays is pictured in the grips of the Canadarm2 robotic arm in November of 2018. 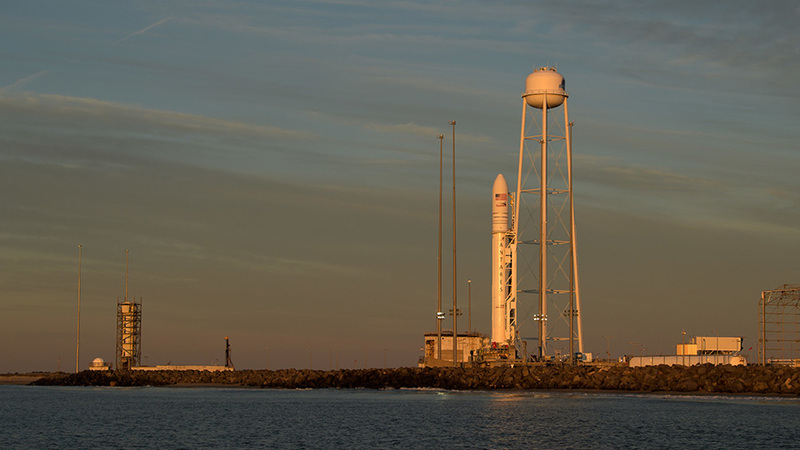 A Northrop Grumman cargo ship carrying about 7,600 pounds of science and research investigations, supplies, and hardware is set to arrive to the International Space Station early Friday morning. The uncrewed Cygnus spacecraft launched at 4:46 p.m. EDT Wednesday, April 17 on an Antares rocket from NASA’s Wallops Flight Facility in Virginia. 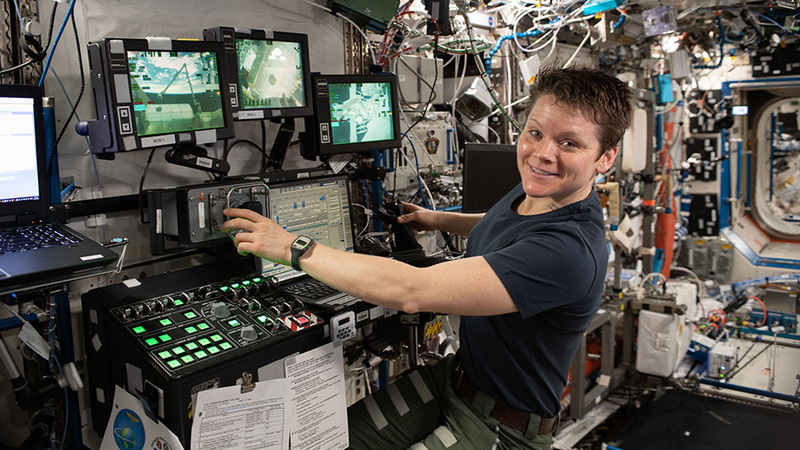 When Cygnus, dubbed the S.S. Roger Chaffee, arrives to the space station on Friday, April 19, Expedition 59 Flight Engineer Anne McClain will use the space station’s robotic arm to take hold of the spacecraft at about 5:30 a.m. Fellow crew member David Saint-Jacques of the Canadian Space Agency will assist McClain. 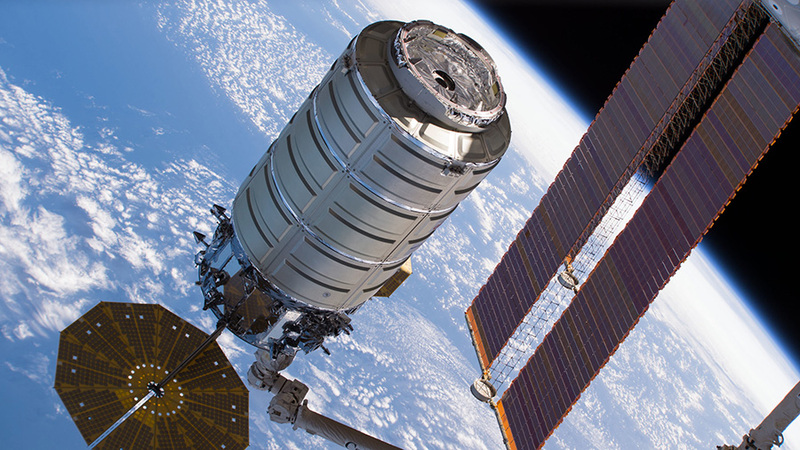 NASA astronaut Nick Hague will monitor Cygnus systems during its approach for capture. 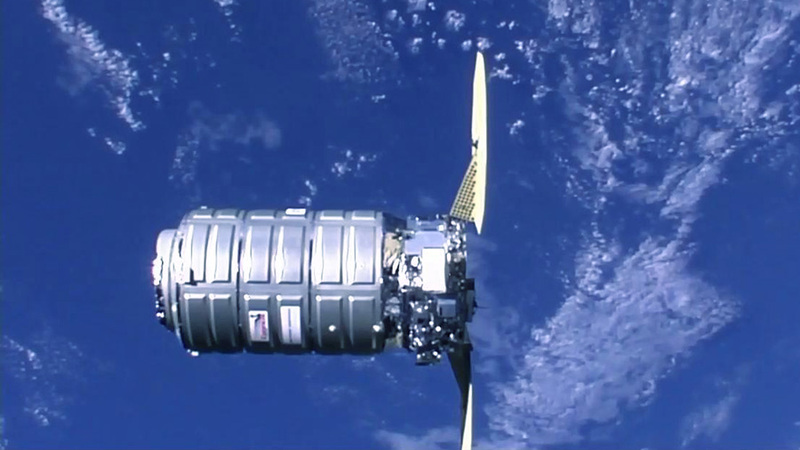 After Cygnus’ capture, ground controllers will command the station’s arm to rotate and install it on the bottom of the station’s Unity module for a three-month stay. 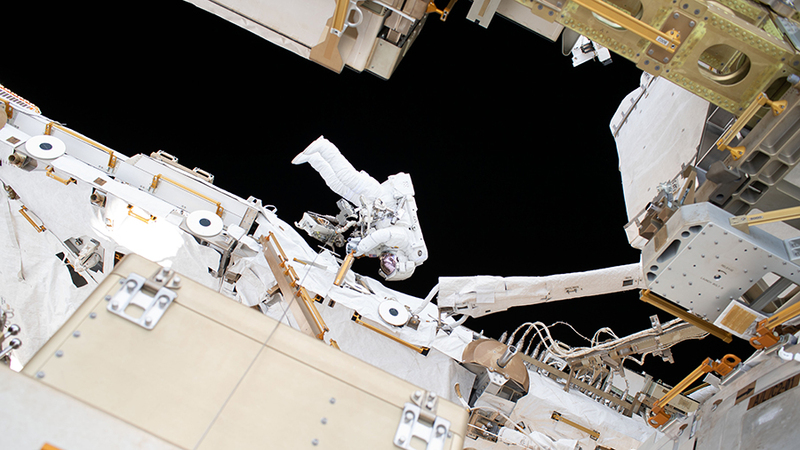 NASA astronaut Nick Hague is tethered to the International Space Station during a six-hour, 39-minute spacewalk to upgrade the orbital complex’s power storage capacity. Astronauts Nick Hague and Christina Koch have configured their spacesuits and reviewed procedures for tomorrow’s spacewalk at the International Space Station. Robotics controllers also readied the Port-4 (P4) truss structure so the spacewalkers can continue battery swaps and power upgrades outside the orbital lab. 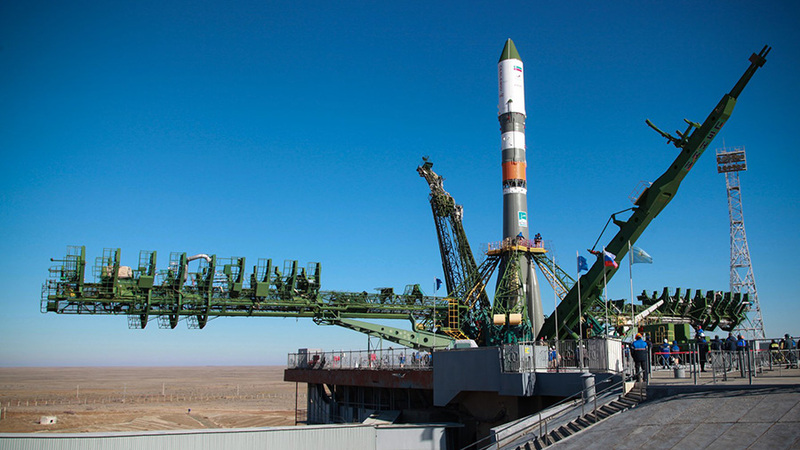 Hague and Koch will set their spacesuits to battery power Friday around 8:20 a.m. inside the Quest airlock. 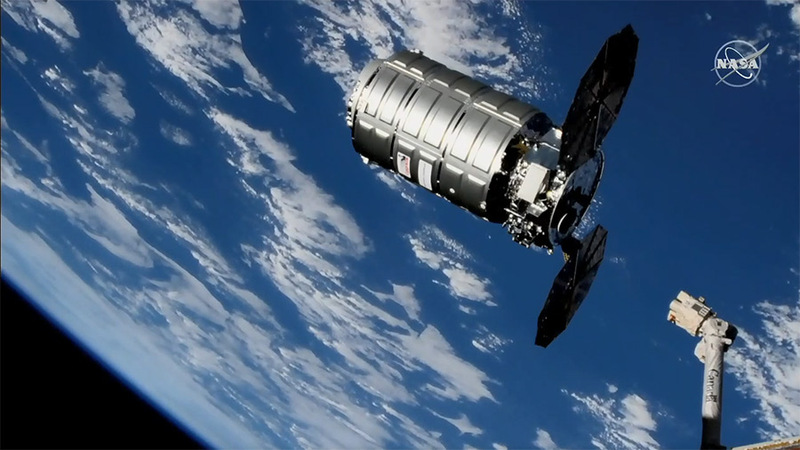 They will exit Quest to swap old nickel-hydrogen batteries with new lithium-ion batteries on the P4 truss. NASA TV will begin its live coverage of the scheduled 6.5-hour spacewalk Friday at 6:30 a.m. 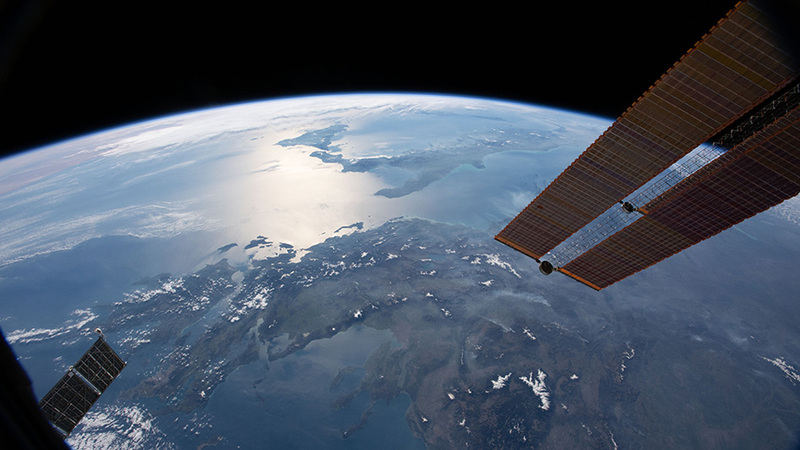 Ground specialists in Mission Control remotely commanded the Canadarm2 robotic arm and its “robotic hand” Dextre to set up the P4 worksite throughout week. The fine-tuned robotics maneuvers transferred the batteries between an external pallet and the P4 worksite over several days. 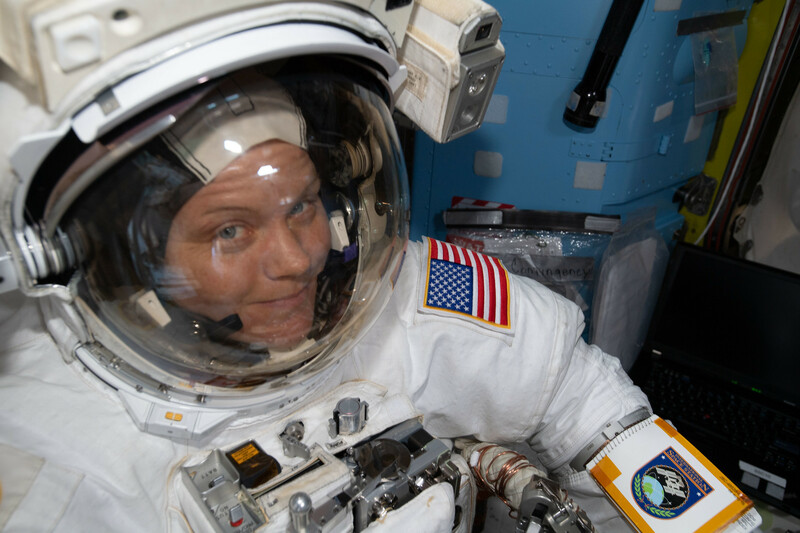 NASA astronaut Anne McClain is tentatively scheduled to join Canadian Space Agency astronaut David Saint-Jacques on April 8 for another spacewalk. The spacewalkers will install truss jumpers to provide secondary power to the Canadarm2. Meanwhile, McClain collected her blood and urine samples today for ongoing human research. She spun the samples in a centrifuge and stowed them in a science freezer for later analysis. Saint-Jacques worked on computer electronics maintenance throughout the day. Expedition 59 commander Oleg Kononenko and Alexey Ovchinin, both of Roscosmos, stayed focused on activities in the station’s Russian segment on Thursday. The duo spent the morning on life support maintenance before checking docked vehicle communications and photographing windows in the Zvezda service module. 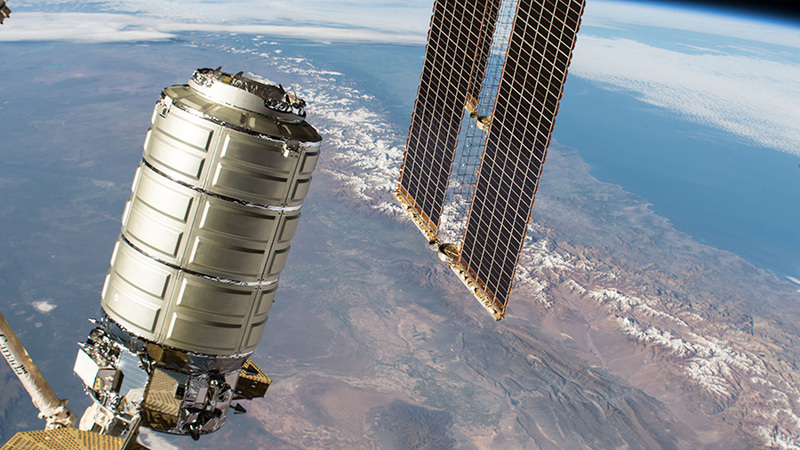 The Cygnus space freighter is maneuvered by the Canadarm2 robotic arm shortly after its arrival and capture at the International Space Station on Nov. 19, 2018.